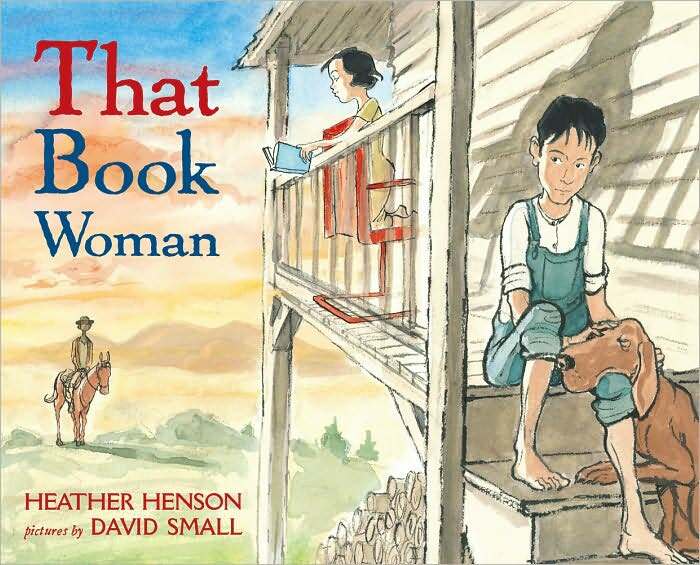 This entry was posted in Book Lists, Picture Book Love and tagged #pb10for10, Bonnie Christensen, David Small, Deborah Wiles, E.B. Lewis, Emily Jenkins, Greg Ruth, Heather Henson, historical fiction, Jacqueline Woodson, Jan Ormerod, Jane Yolen, Jerome Lagarrigue, Ji-li Jiang, Kim LaFave, Nicola Campbell, picture books, R.G. Roth, Richard Michelson, Sophie Blackall by carriegelson. Bookmark the permalink. I love this day! Your theme is fabulous as I am introduced to several new titles I need to investigate. 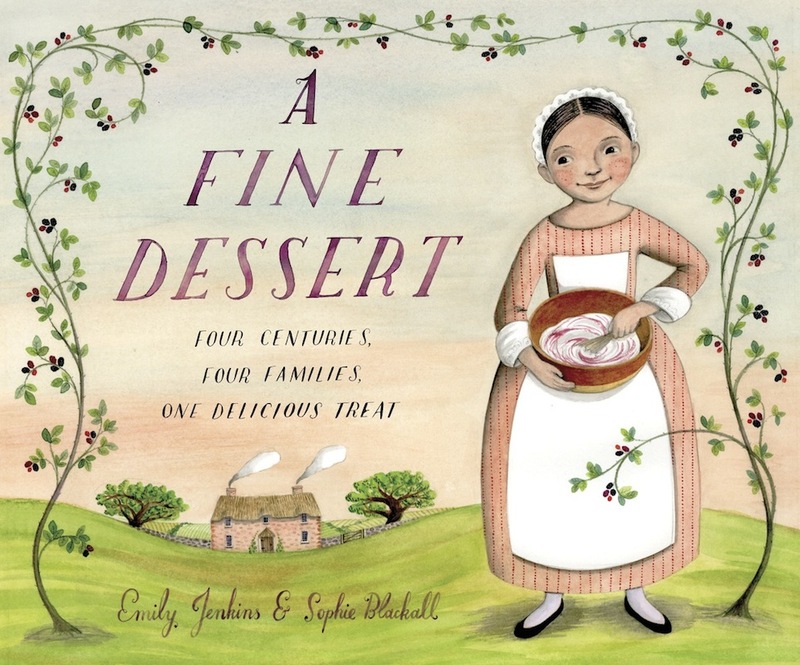 I recently read A Fine Dessert & now understand all the buzz; it is fabulous. Can’t wait to get into a class and read it! It is a lovely book isn’t it? I think sharing it with a class will mean that some dessert making will be necessary! I hope you can find some of these titles. All of them are really rich reading experiences. Such a great theme this year, my friend! 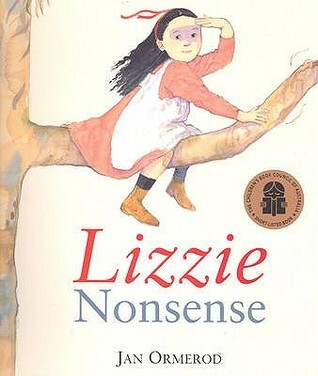 Lizzie Nonsense and Red Kite, Blue Kite are new titles for me that I will be checking out! I still need to figure out how you make your book cover quilts! I love them and imagine if they were real! We’d be sleeping under stories every night! Happy 10 for 10 day! Lizzie Nonsense was a find at the VPL. It is beautifully done. I love the idea of a book quilt! Isn’t this a wonderful picture book day?! You book lists always introduce to me new titles that I need to check out to broaden my reading horizon. Beautiful theme. Thanks for sharing your love of books with us. I hope you enjoy some of these Jenni! Happy Reading! So wonderful to have just discovered this wonderful celebration of picture books! Can’t wait to put several on hold at my local library! 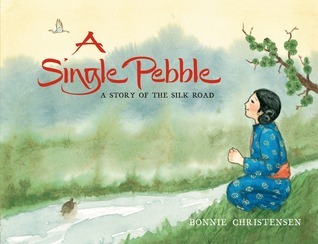 How sad that the world of PBs lost the gifted author/illustrator Bonnie Christensen (A Single Pebble…) to ovarian cancer in January. The stories she has left us will keep her creative, beautiful spirit alive! I cherish my copy of her “Woody Guthrie, Poet of the People” which she autographed for me at our college reunion a few years back. Bonnie Christensen is indeed gifted. Her work is to be treasured. I also love Django. Thanks for visiting and for your comment. 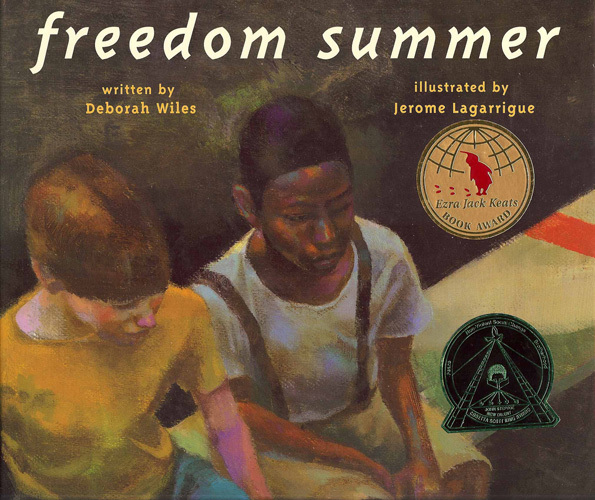 Freedom Summer and Busing Brewster have now been added to my Amazon cart! Thanks! I have a theme collection in my classroom on “inequality/injustice” so they will be perfect additions! They will be! Happy reading! Several of my favorites here! I drive through the grasslands and across the prairie to work every day in Nebraska and thus have a soft spot for Elsie’s Bird. Lizzie Nonsense is not a title I know–but I love pioneer stories and anything Australia, so I’m off to try to find a used copy (seems to be out of print). I found my copy at the public library. The illustrations are beautiful and I like that it is set in Australia. And yes, Elsie’s Bird is all kinds of wonderful. How I adore David Small. I would love to talk – keeping in mind that we are in two different countries. 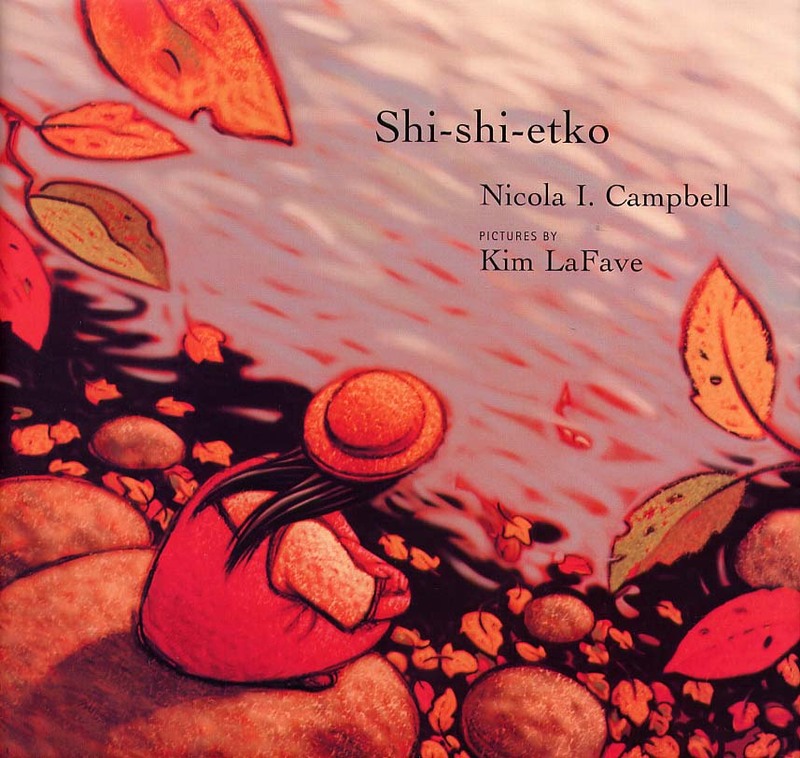 Still – books like Shi-shi-etko (and her next title) are relevant to both US and Canada. As are many titles I think because it is the discussion of human relationships and decisions (and the repercussions) that are at root of all historical events. I always find “new to me” titles when I visit your blog, Carrie. I so appreciate your focus on historical fiction this year. It’s a genre that is often hard to sell in chapter book format but I find when linked to a picture book, the “selling” gets easier. 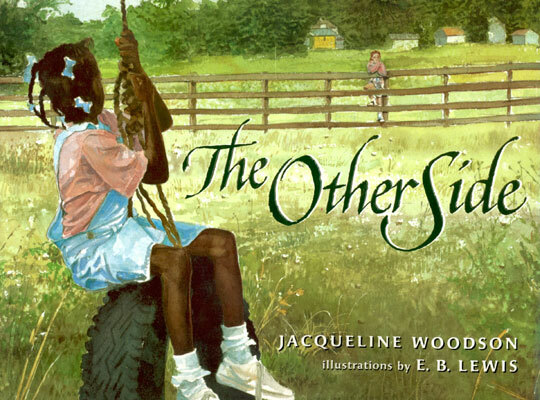 The Other Side, Elsie’s Bird, and That Book Woman are three of my all time favorites. I’ve added Lizzie Nonsense, Busing Brewster, Shi-Shi-etko, Red Kite Blue Kite, and A Single Pebble to my TBR list. Thank you for a fantastic list! Susan, I am so pleased that you found some titles of interest for you. I really like all of these titles so I think you can’t go wrong. Isn’t That Book Woman so incredible? 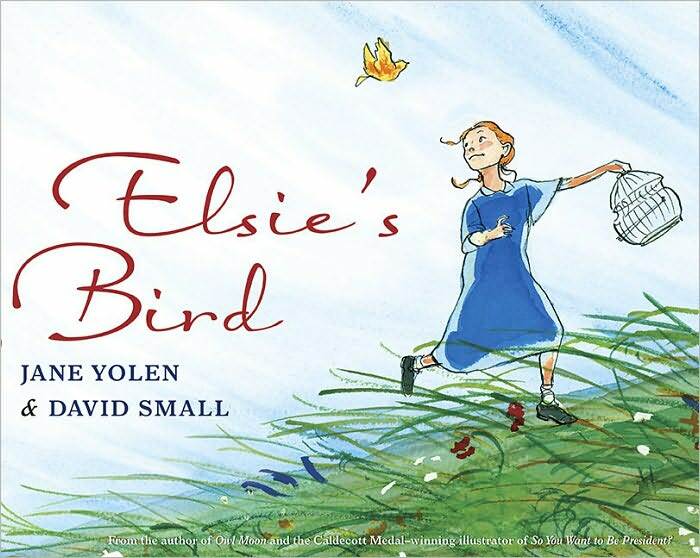 Several titles I love here (probably introduced to them by you from earlier blog posts) – Red Kite, Blue Kite, Elsie’s Bird, and That Book Woman. I’m off the request A Single Pebble – a new book for me. Thanks for continuing to share book love all the time. 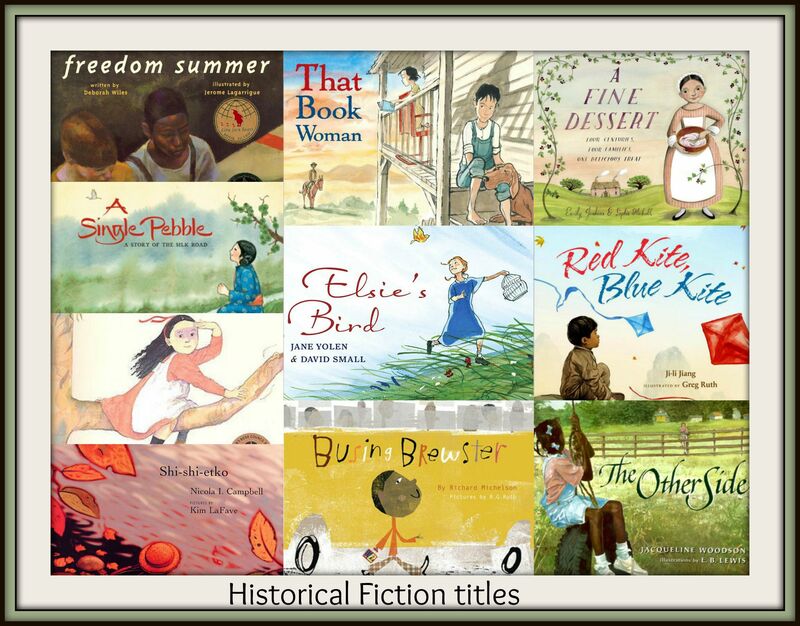 Historical fiction is a favorite genre for me. I’m so glad that you share my love for historical fiction – I think you will really like A Single Pebble. Happy Reading Ramona! So many of my favorites here! Excited to check out Shi-Shi-Etko and A Single Pebble. Have you read John Major’s The Silk Route? I use it with students as part of our introduction to the geography and history of Asia. Thank you for sharing such a wonderful group of books, Carrie! I share your love for That Book Woman. It’s one of my favorites and spurs so much discussion in my second grade classroom. 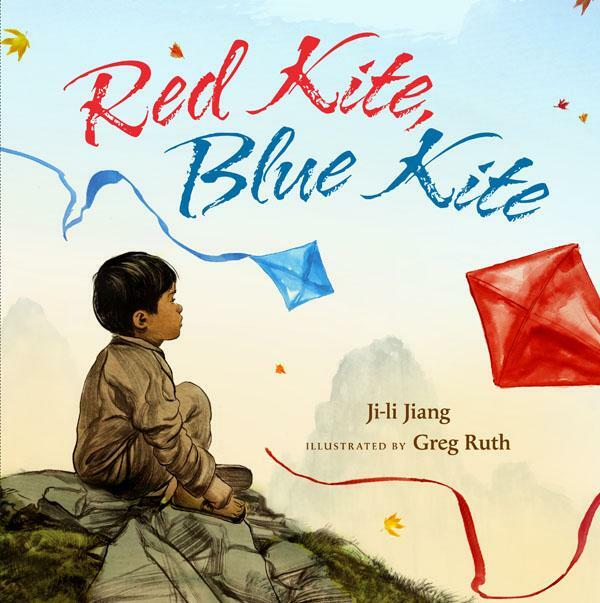 I can’t wait to check out Red Kite, Blue Kite. It looks like a beautiful book. It truly is – I hope you love it. In the process of creating a historical list, I couldn’t help but notice the diversity in your characters. How wonderful to see diversity appear naturally around a topic. 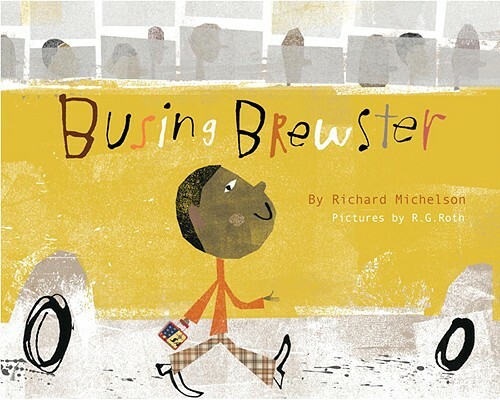 I had to request “Busing Brewster.” Looking forward to reading this “new to me” title. I can’t thank you enough for all of your support of this event and the #pb10for10 community. It’s people like you that make this the amazing community that it is. You are so right Cathy – the diversity wasn’t intentional – it just happened when I brought all of these books on this topic together that I loved. 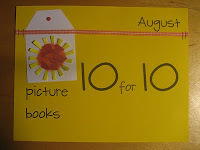 I am always so excited to be a part of the #pb10for10 events. It is a pure pleasure.